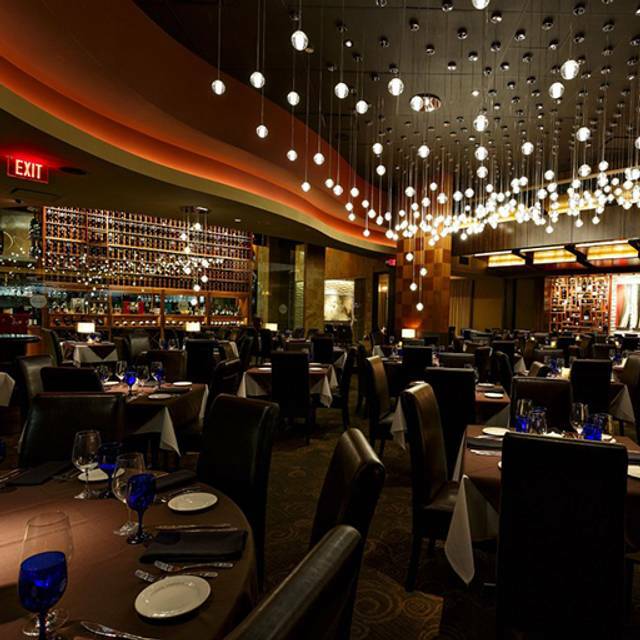 Sit, sip and savor while enjoying live entertainment Monday-Thursday from 6:00pm to 10:00pm and Friday and Saturday from 6:00pm to 11:00pm. 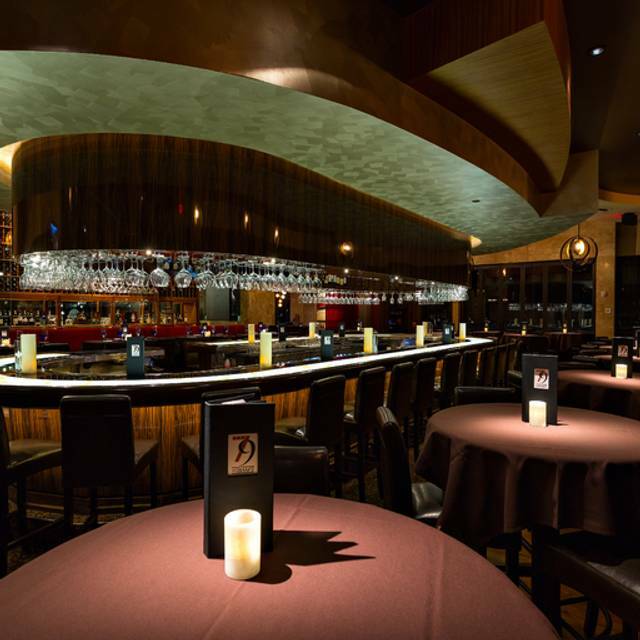 Whether it’s a live jazz trio or piano music, we invite you to sit back, relax and enjoy all Perry's has to offer. 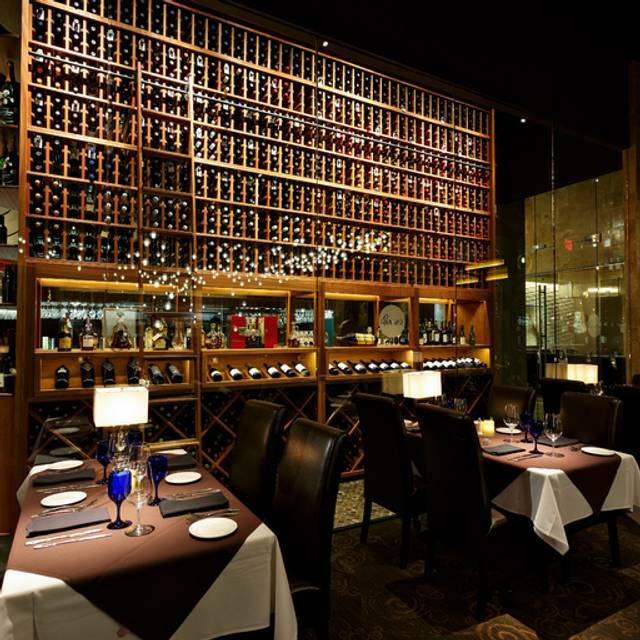 Whether you’re dining with friends or a significant other, Perry’s Steakhouse & Grille will always inspire an appetite. 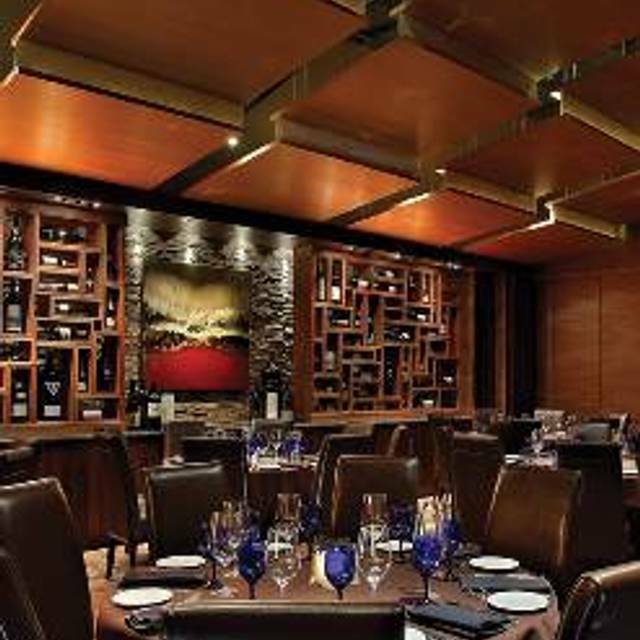 The award-winning menu and dedication to hospitality has come to the bustling Stonebriar Centre with an engaging, open atmosphere, towering wine wall, vibrant Bar 79 (named after its founding year) with an extensive wine and mixology program, and elegant private rooms for groups and special occasions. 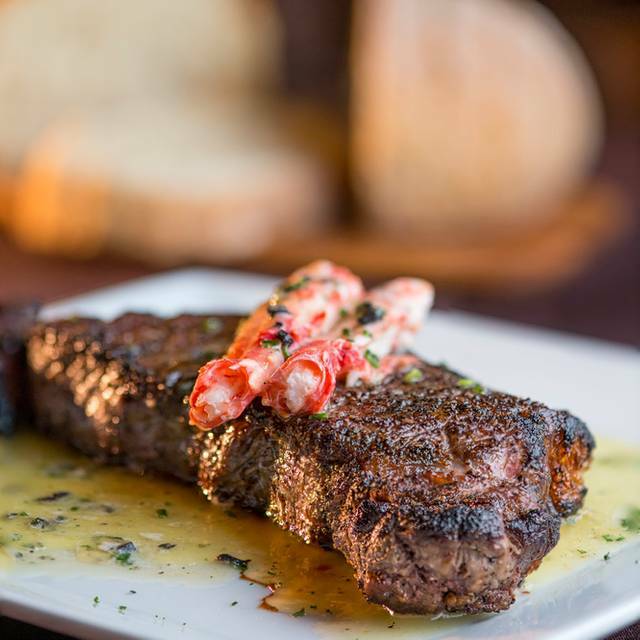 With butcher-fresh USDA-aged Prime beef and carvings of signature entrees and flaming desserts prepared tableside, the Perry family has remained true to its butcher shop roots by creating an experience that's truly Rare and Well Done. Food quality has dropped, and service, too. Not like even a year ago. The signature porkchop stack was subbed out to an outside vendor, the quality and cut have suffered. Not going again...sorry, used to love Perry's. The service was mediocre. I waited at least 15 minutes to be acknowledged only after I asked for someone to come to my table. My first steak was over cooked and the second undercooked by the time the second steak arrived my friends had finished their meal. My martini glass was warm. 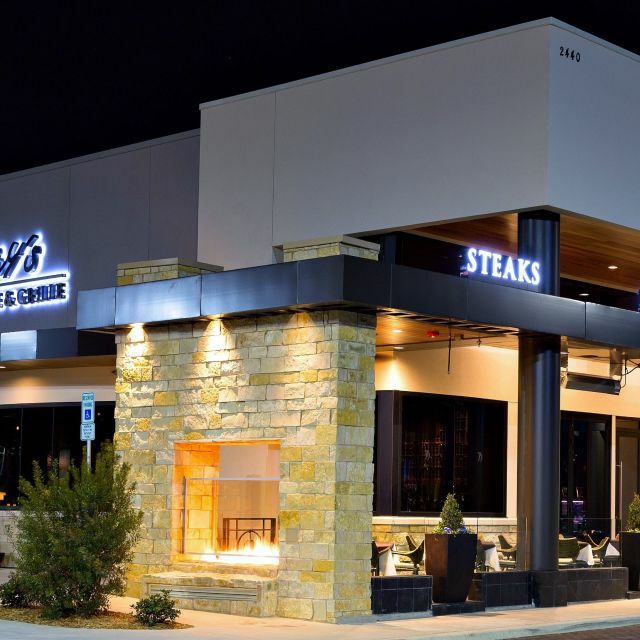 Perry’s was my favorite restaurant for a steak (bone in filet) now I will most likely not return. Very disappointed as I came in from out of town. My salad and dessert was delicious and once a waiter appeared he was attentive. The food was excellent, however the service was exceptional. As a first time patron and following a friend's referral, I was happy I dined at this restaurant for my birthday celebration. 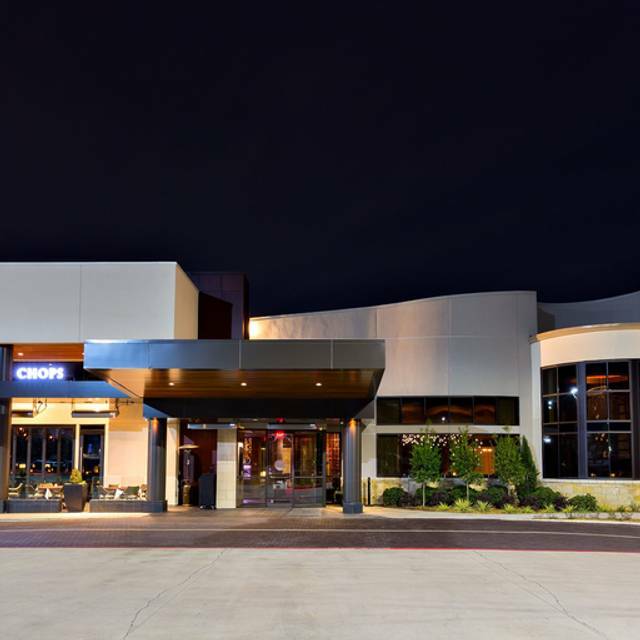 Exceptional service and food every single time. Claire is an amazing server! We had the best experience! Our server, Chad, as well as the rest of the staff went above and beyond to make us comfortable and taken care of- hard to do when dining with two small children. Excellent food as usual! Friday lunch pork chops....the best lunch deal in town! We had early lunch reservations. We were seated as soon as we arrived and met by our server (Ethan) almost immediately. Ethan was attentive without being intrusive, and provided overall exceptional service. We all ordered the Friday Lunch Special Pork Chop - it was EXCELLENT! Cooked to perfection, served with a huge side of mashed potatoes and a fantastic applesauce. Great experience! We have eaten at Perry's in the past and have been underwhelmed. We made this reservation because it was close and open on Sunday. We thoroughly enjoyed our dinner. The steaks were delicious, the sides were also just as tasty. I ordered a Mai Tai that was wonderful. Lastly we really liked the dessert that had 3 samplings and they were all great! I would definitely return. Outstanding Meal. Our waiter, William was exceptional! We love it for special occasions. Only negative is that they are very pricy with $15 cocktails, and the ala carte menu which takes the average for a couple upwards of $200 with tip. This restaurant never disappoints.... beautiful ambiance, wonderful food and superb service. I brought my clients here for drinks and dinner. They had never been to your restaurant, I have. This was a party of 4 and we spent $600. All of our food was cold when served to us except for our side dishes. I did not bring this to the waiters attention, because I did not want to make a fuss in front of my clients. We asked to have the side dishes boxed to take home and the server forgot to bring those to us. Overall the experience was good, but it would have been nice to rate the food higher. 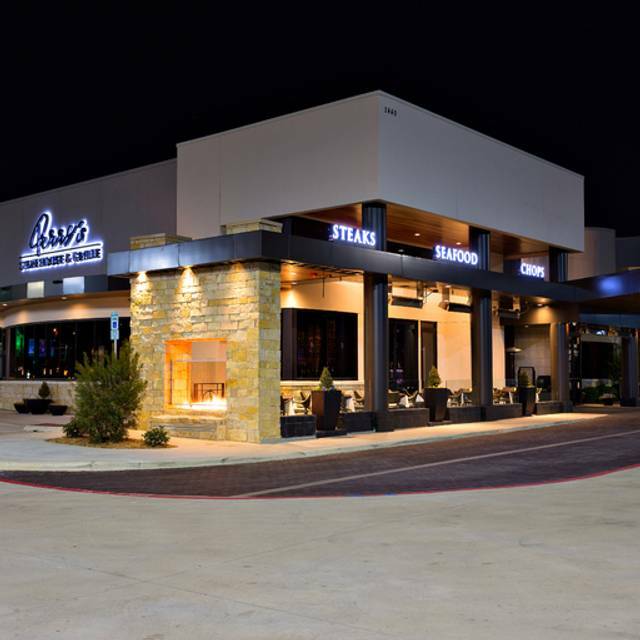 I eat at Perry’s Southlake every Friday. This last Friday, however, I ate at the Frisco location. In an unusual manner, the pork chop was tough and gristly. It’s like it didn’t get enough time on the smoker. Nevertheless, I am a Perry’s fan and will return. Just wanted to let y’all know something was amiss. Otherwise, all was as it should be, outstanding! Thanks Perry’s! I ordered the Friday Lunch Pork Chip because it came highly recommended. Unfortunately, we came to lunch at 11:15 and the chop came to the table before the drinks and the chop was dry. It appears that the kitchen made the chop before we got there and let it sit knowing that this was the popular item and it would be sold soon. Daniel, our waiter was so professional and charming. His demeanor definitely enhanced our dining experience. Impeccable service. Awesome food. Perfect all the way around. We had a private dinning room for 12 people to celebrate a close friend's 50th wedding anniversary. Both service and food were outstanding. If you have a special event I would highly recommend you give them a try. Obvious bias in service to customers, some customers given priority attention and some clearly ignored. I ordered the Chicken Parm, the noodles were cold and under cooked. The chicken was good. My pork chop was dry and my wifes was perfect. I wondered why she was enjoying hers so much until I tasted it. We were celebrating an anniversary and had a most enjoyabe evening. Our waitress Felitia, was most attentive and knowledgable. We had the porkchop and the perrys filet. Both were outstanding. We are looking forward to a return trip on our next celebration. Always amazing! Food is consistently great! Service too! OUTSTANDING Service. Food was ridiculously tasty. We were celebrating my wife's birthdays and they brought out a dessert sampler on the house. Well played Perry's. I'll be a repeat customer here moving forward. Love Perry's! Very relaxed, comfortable, yet elegant environment. The food is fantastic. Food was great as always. Our table was ready when we arrived a few minutes before our reservation time. We were seated immediately. The service was great. 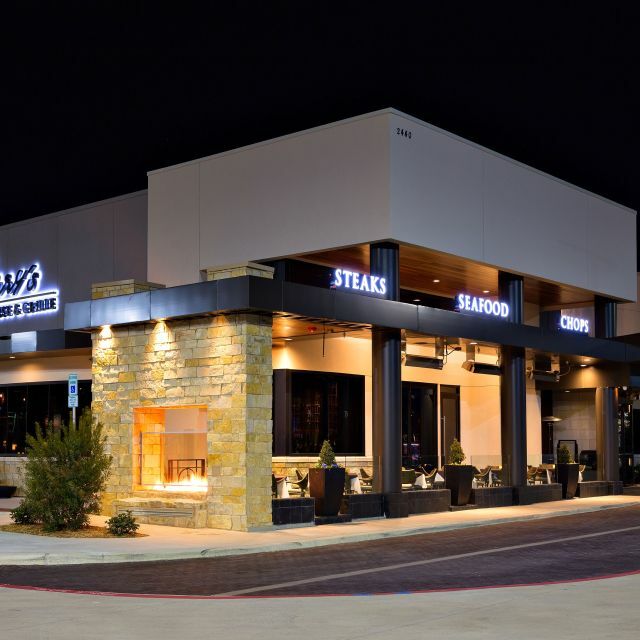 I would recommend Perry's to anyone looking for a really good Steak/Seafood restaurant. Anniversary dinner went off without a hitch. Great food, excellent service. The food was great. Our waitress was very knowledgeable of the menu and things to try. The atmosphere was very pleasant. I will be returning. Food and service was FANTASTIC and we will return soon! Seemed understaffed and overwhelmed. I like Perry’s but haven’t been to the one in Frisco. On this on, this day, the filet was tough and too seasoned. Pork chop on Friday was large and good.